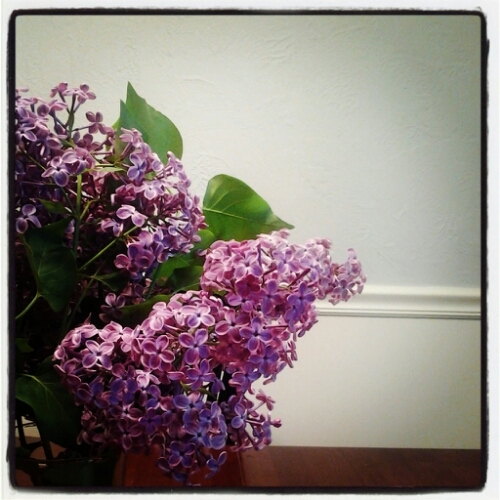 Because the smell of lilacs is filling up my kitchen. Because Pearl Jam tickets go on sale today at 10 am!! Get ready Eddie!! Because I’m loving the new color of my kitchen. 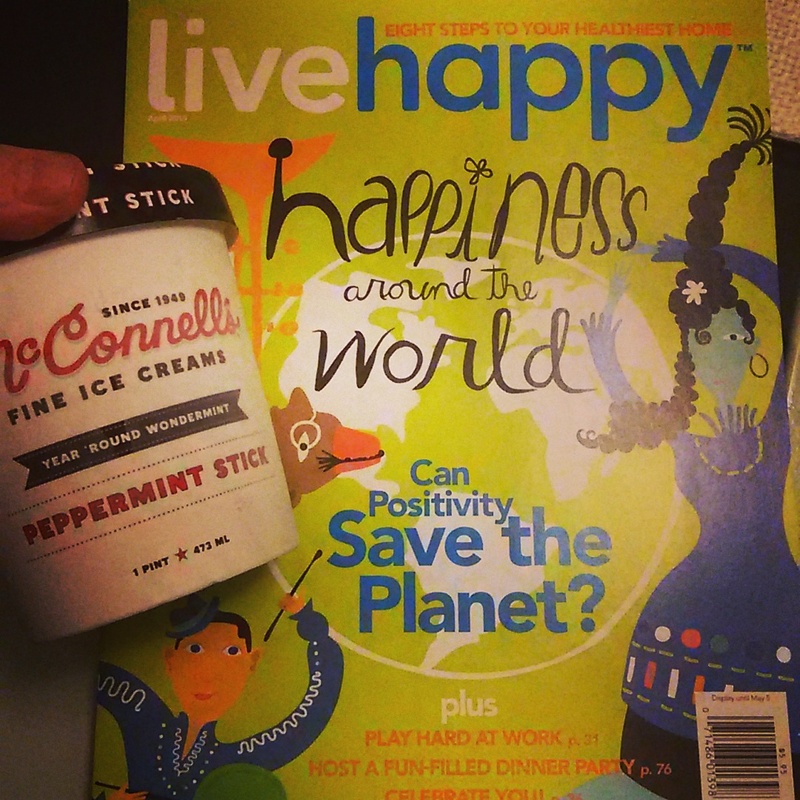 Because I feel lighter because I’m ‘thinking thin’ and giggling about it. Because Lovely #1 is dressed up in a lab coat and carrying a panda for career day…she’s an aspiring veterinarian. Because I am independent and strong. Because my big leggy dog gets to ride along on the school drop now that it’s nice outside…and stick her floppy face out the window and sneeze from all the smelly wind. Because all my laundry is done and the rotation starts over…meaning I can wear my favorites. Because because because because because….Because of the wonderful things he does…we’re of too see the wizard!!! Kicking the crusty, gray, snow crusts from behind the tires on my car. 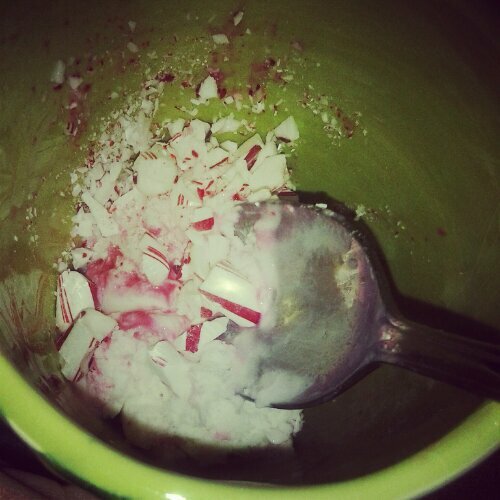 Crushing 2 candy canes and topping my one, lonely scoop of candy cane ice cream with them. Waking up in a new, huge, comfortable bed feeling rested! Test driving a fancy car feeling like a fancy rich person. Buying the lovelies the cutest, coziest bathrobes for Christmas. Picking out wrapping paper with steaming mugs of hot cocoa on it! Pretending that I picked every single person’s name at work for Secret Santa.